Homefront, the 2011 first person shooter set in a USA being occupied by Korean forces, is getting a sequel, in the form of Homefront: The Revolution. Watch the trailer below. Its being developed by Crytek and Deep Silver, after previous publisher THQ was closed. Homefront: The Revolution is set four years into the Korean occupation, in an open world Philadelphia where you play as a civilian member of the resistance. It’s promising to be very different to the linear single player campaign of the first game, with a free-roaming feel more reminiscent of Far Cry 3 than Call of Duty. It will also be playable in a four-player co-op mode. 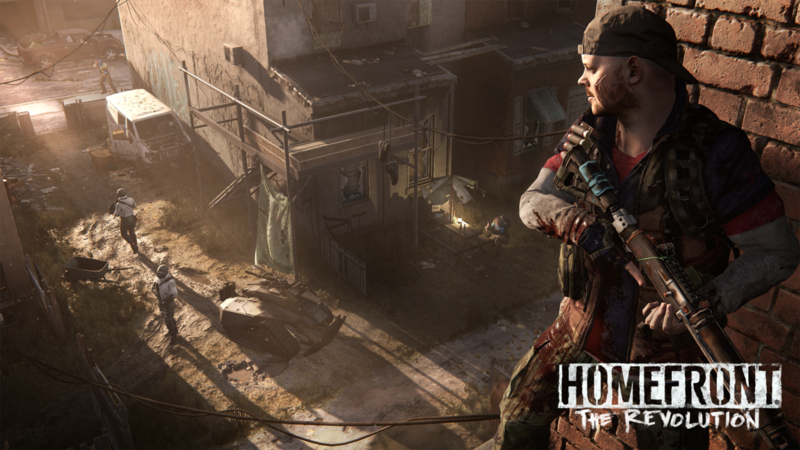 Homefront: The Revolution will be released on PC, Xbox One and PlayStation 4 in 2015. Not much else has been revealed about the game so far, but Crytek is definitely trying to make a more dynamic game than the first. Homefront had a great premise and an excellent opening sequence, but what followed was pretty dull. This sequel is looking promising so far.